Fantastical. Catchy. Charming. Take your pick, but these same words have tended to describe most Legend of Zelda soundtracks since the inception of the series. The Legend of Zelda: Breath of the Wild, however, warrants tacking a new descriptor onto the list: controversial. Trading in tried and true Zelda traditions for a more modern approach to game score, Breath of the Wild’s soundtrack surprised many with its sparse and dynamic musical flavor. Critics loved the new direction, showering the in-game soundtrack with praise and accolades. The fanbase, on the other hand, was polarized: some swore by Breath of the Wild’s innovations, while others mocked the effort as directionless ambience. Opinions from both camps have had a year to marinate, but now the full official soundtrack is finally available to judge on its own merits. What’s the verdict on the most radical Legend of Zelda soundtrack to date? Some gamers confuse Breath of the Wild’s minimalist nature for an indication that the game contains a minimal amount of music. Nothing, it turns out, could be further from the truth: the full soundtrack is a massive six-hour package of diverse musical material. Breath of the Wild just happens to take a more calculated approach to organizing sounds – and silences – than any previous Zelda game. This statement holds truest in the album’s field themes. “Plateau” is a meditative track comprised of twinkling piano and elongated pan flute phrases, impressing upon the listener an image of tallgrass swaying in the wind. “Waterfront” evokes the image of a harbor as a handpan leans in and out of its phrases like a buoy. “Field (Freezing Cold)” chills the ears through a combination of icy percussion and shrill synths with elongated reverb tails, while “Cave” warms the soul with a soothing piano chord progression and fuzzy synth pads. “Field (Intense Heat)” is basically a shimmering synthesized heat wave over sandy wisps of white noise, while “Wasteland” tasks a piano and santur with exploring shifting modality. The common ground between these themes is their collective ambient focus. These soft and decidedly bland tracks are a definite departure from the grandeur of, say, Ocarina of Time’s legendary “Hyrule Field” theme. As a result, the field themes likely won’t please everyone – all the more-so outside of the context of the game – but open-minded listeners with an appreciation for a calmer, piano driven take on Zelda music will be happy with their inclusion. That’s not to say that Breath of the Wild is devoid of more traditional music. Longtime Zelda fans need only take a listen to any of the nine village themes on the album to feel right at home. “Hateno Village” is reminiscent of Zelda village themes at their sweetest, sporting smooth marimba rolls, string trills and an easy-going uilleann pipe melody. The plucky “Korok Forest” theme weaves a dense thicket of tambourine, xylophone, strings and harpsichord, occasionally brushed aside by English horn and clarinet. 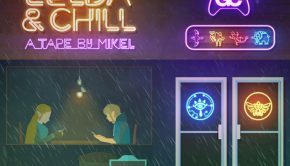 “Lurelin Village” serves up a soft palette of bongos, steel drums, and acoustic guitar fingerpicking, setting a breezy, tropical mood. Of all town themes present, “Tarrey Town” turns out to be the most elaborate, blending instruments from the four corners of Breath of the Wild’s wide world into an extensive, homely arrangement. Yet “Tarrey Town” also happens to be the only town track that doesn’t transition from an upbeat daytime iteration to a mellower nighttime counterpart mid-track. In all other cases, these transitions are fully composed rather than hastily crossfaded, and they lend the town themes a sense of organic grace – though some of these tempo and transpositional shifts are admittedly clumsier than others. Town themes aren’t the only tracks on the album designed to reflect Breath of the Wild’s dynamic nature. Four “Divine Beast” tracks serve as proper dungeon themes for the game alongside “The Final Trial,” and each abides by a similar additive structure. The first movement recalls a musical theme presented earlier to introduce the Divine Beast; the second movement sets a new tone, introducing new layers one at a time; and the third movement refurbishes those layers with a heightened sense of urgency. Though all five aforementioned tracks more or less follow this structure – “The Final Trial” skips the first phase, cutting straight to the point – each track maintains a distinct and haunting identity. “Divine Beast Vah Ruta” is frigid with synthesized gurgling and rusty saws surrounding piano ostinatos and a timid celeste melody. “Divine Beast Vah Rudania” blends bongos with fuming flutes and a humid backdrop of synths and choir, coming across as the most traditional sounding new Zelda dungeon theme of the bunch. “Vah Medoh” is another story, featuring a surprisingly active and lush string section with a whirling synth lead laid softly into the mix. Neither does “Vah Naboris” sound like anything ever featured before in a Zelda game, more closely resembling the primordial chord progressions of Kenji Kawai colored by a variety of electronic sounds. Last but not least comes “The Final Trial,” a rousing call to arms from the DLC dungeon. Yes, the additional DLC music content made the cut on the official soundtrack, and this DLC dungeon theme just might take the cake for the most uplifting dungeon theme ever composed for the series. The battle themes in Breath of the Wild are series standouts as well. Each is a textural treat, with some relying on solid acoustic performances and others embracing electroacoustic hybridization. “Molduga Battle” has already become a fast favorite example of the former for Breath of the Wild fans, with its rapid percussive underpinnings and sky high fiddling – though the same praise could be given just as easily to the accelerated “Divine Beast Vah Naboris Battle” theme. Meanwhile, the various “Blight Ganon” and “Calamity Ganon” battle themes will ring familiar in the ears of Zelda fans thanks to their sheer orchestral majesty. In the second category, “Master Kohga Battle” and “Monk Maz Koshia” fuse traditional Japanese instrumentation with an electronic edge to raise tension, and the unnerving warbling bass in “Battle (Divine Beast)” is almost reminiscent of Twilight Princess’s more horrific battle themes. The true show-stopping battle theme on the album, however, is “Dark Beast Ganon Battle,” serving as both the final boss theme and an epic reiteration of Breath of the Wild’s main theme. 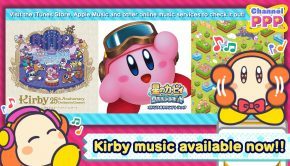 The restless piano sweeps and heart-wrenching oboe solos exude exhilaration, giving the track an energy level on par with Nintendo’s recent efforts in the Fire Emblem franchise. That level of polish and intricacy is consistent from battle theme to battle theme, making Breath of the Wild an invigorating listen. At over two-hundred tracks in length, however, the album can get exhausting. As the album progresses, nostalgic Zelda fans may grow weary of the new direction and find themselves longing for traces of the franchise’s more traditional past. Thankfully, Breath of the Wild has these fans covered, paying homage to its roots in surprising ways. Several cutscene tracks on the album make reference to “Zelda’s Lullaby” in ways previously unheard, and Ganon’s theme lurks not only in multiple boss and cutscene themes, but also in the tremorous new “Hyrule Castle” theme. “Ganon’s Lair” from the original Legend of Zelda on NES works its way into “Field (Scorching Heat)” in precarious piano form. The “Fairy Fountain” theme sounds as magical as ever rendered through piano and pads, and the “Malanya Spring” version blends this longstanding theme with “Epona’s Song” from Ocarina of Time. Even Ocarina of Time’s classic “House” theme is back in action in a sparse yet comforting new arrangement. On a smaller scale, a few familiar Zelda fanfares and sound effects make their way onto the album, from Twilight Princess’s petit “Get Item” fanfare to the clacking wood noises of the mischeivous Koroks. Most of these fanfares have been rearranged to match the aesthetic of Breath of the Wild: the “Sheikah Slate” renditions of treasure chest music from previous games are especially effective. 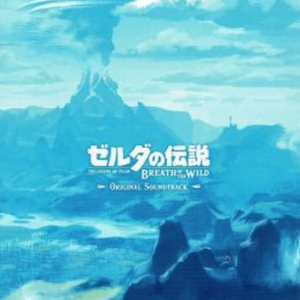 Of course, the soundtrack also includes a few of Breath of the Wild’s original sound effects (“Bolson Construction Work,” various “Cooking” tracks) and fanfares (“Hetsu’s Dance,” “Killing Time”). Plus, there’s two straight minutes of a capella Goron humming and throat singing. That alone should have Breath of the Wild perking the disappointingly non-pointed ears of Zelda fans everywhere. Those familiar with the Sound Selection CD, released with special editions of Breath of the Wild, may notice that certain hits on the album have so far gone unmentioned. What about the battle music for the guardians, the stone taluses, the hinoxes? Furthermore, what about the remaining five town themes, to say nothing of Breath of the Wild’s gorgeous new take on the “Temple of Time” theme? 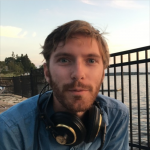 Our own Lucas Versantvoort has given these pieces a wonderful writeup already – though a few tracks from the Sound Selection have since been updated. Most of these updates concern a certain fan-favorite wandering minstrel. The full soundtrack version of “Stables” now features “Epona’s Song” on the second pass, courtesy of Kass’s accordion accompaniment; and a “Kass and the Five Sisters” version of the Rito Village theme couples that accordion with the chirping of Rito children, resulting in a special take on an already stellar revisitation of “Dragon Roost Island” from The Wind Waker. Of course, Kass’s own theme has gotten an upgrade too: the “Song of the Hero” version breaks up the repetitive loop of the original with an endearing nod to the main Legend of Zelda theme. Less pleasing is the full soundtrack’s take on the main battle theme. 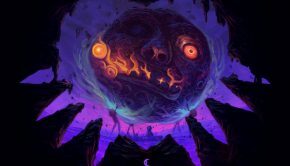 That’s less a statement on quality – the eclectic staccato textures and sound snippets put this track on par with the invigorating battle themes of the Wind Waker – and more a quantitative analysis. In-game, the battle theme is generated from interchangeable parts, not unlike Ocarina of Time’s “Hyrule Field” theme. Where Ocarina of Time’s soundtrack covered every section of that theme, however, Breath of the Wild’s full soundtrack version of the battle theme offers only a small sampling of the full experience. At the very least, the sections selected for the theme on the full soundtrack are switched out from those on the Sound Selection version – but the consequence is that listeners with one version are missing out on the other. Repetitive though it might have been, full medley with all parts included would have been appreciated. Yet the biggest disappointment is what hasn’t changed since the Sound Selection: the main theme of Breath of the Wild. In his review, Lucas noted a particularly grating transition on the track – an artifact of someone’s decision to split an existing recording to match a cut in the game’s trailer, rather than to build the silence into the track naturally. Time has not been kind to this glaring blemish outside of the context of that trailer. Neither, apparently, has Nintendo, as even the credits music features the same abrasive gap without the justification of a visual cue. The oversight is consistent, and it’s disappointing given that the track is in all other respects the most graceful and sweeping main theme in the franchise to date. Many more tracks in this collection deserve attention – more than this review can cover. Suffice it to say that the soundtrack is packed to the brim with close to all of Breath of the Wild’s heavily stylized and masterfully produced music, and that nearly each track has the potential to become a hit. Though a small handful of the individual tracks on offer come up short, Breath of the Wild on the whole is nothing short of exceptional. And catchy. And charming. And much more. Posted on April 30, 2018 by Reilly Farrell. Last modified on April 30, 2018. “Also, at the beginning of The Legend of Zelda: Breath of the Wild, Link has just woken up from artificial sleep (a 100-year long one at that), and has lost his memory. She wanted to reflect that in the main theme, which is why there is this rather strange break (something that was immediately noticed by fans in the E3 2016 trailer, where it debuted). Thanks for the link! This is incredibly interesting, and gives some great insight into the structure of the main theme. Will you review/have you reviewed either the Super Mario Odyssey or Sonic Forces soundtrack? I would love to hear your opinion about those! We’re working through things slowly 🙂 Thanks so much for reading!